The second AEC 508 Tanker is shown here in its United Dairies livery, hailing fron its Streatham Depot in London. The 5 Ton Cab Over Forward Control Tanker from Corgi Classics was made available in many different and colourful liveries. 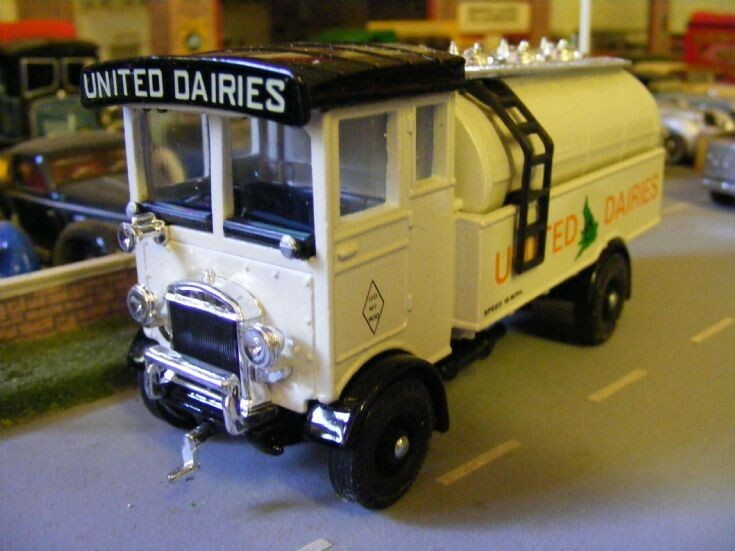 This Tanker came with a AEC Panle Van in the more recognised Orange & White United Dairies livery.